40 students graduated from the MSc Aviation Management courses which are provided in both Dubai and London. 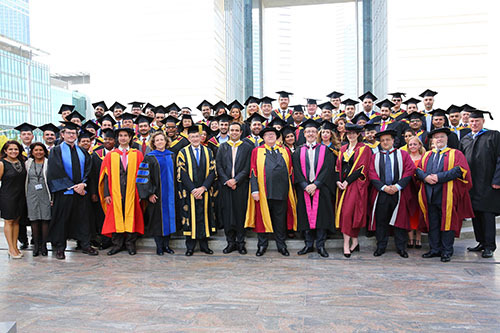 Under the Patronage of His Highness Sheikh Maktoum bin Mohammed bin Rashid Al Maktoum, Deputy Ruler of Dubai and President of Dubai International Financial Centre (DIFC), City University London held an inaugural graduation ceremony for the graduates of its MSc Aviation Management courses. Vice-Chancellor of City University London, Professor Sir Paul Curran, the Dean of Cass Business School, Professor Marianne W Lewis and Regional Director and Head of The Dubai Centre Mr Ehsan Razavizadeh, were all in attendance as a record number of students graduated from City University London. 40 students graduated from the MSc Aviation courses, which are delivered in Dubai and London. The ceremony at the DIFC Conference Centre hosted over 200 people including families, business leaders and distinguished guests His Excellency Essa Kazim, Governor of DIFC, His Excellency Mohammed Hussein Al Shaali, the former minister of State for Foreign Affairs, and Her Majesty’s Consul General, Mr Paul Fox. “With over 200 students on Aviation master’s degree programmes in the Middle East, Dubai has become a centre for City’s MSc Aviation courses and we are delighted to have offered a graduation ceremony in Dubai. It was a truly celebratory moment for friends and families of future aviation executives graduating from City." 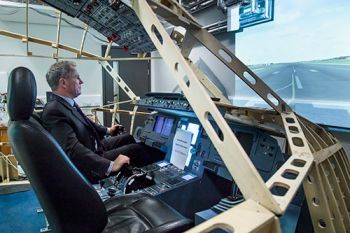 City’s MSc Aviation Management courses are delivered by leading academic staff from its London campus, in a monthly block weekend format to accommodate the needs of working professional students.